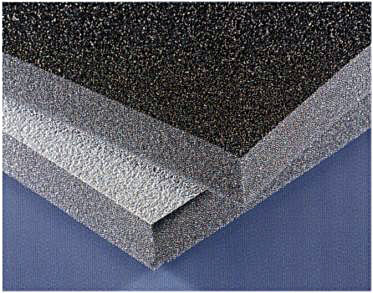 Hushcloth® White and Black Urethane Faced Foams (BU) provide a colorful, durable, abrasion and puncture resistant product. These urethane films are heat laminated to form a decorative textured surface and can be made impervious to most petroleum products, moisture and dirt. Matte facing can be added to our embossed foam to give a more pronounced decorative rosette pattern.